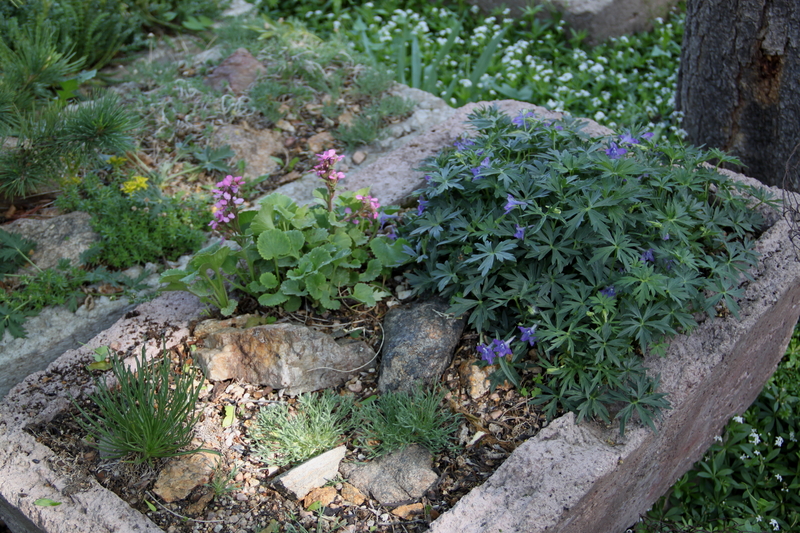 Here’s a trough, colored pink because I thought it would be artistic to try to mimic the color of the garden soil here (pink like Red Rocks just a few miles to the west), with Telesonix jamesii and Delphinium alpestre. So many people come up to me and say “I must have your hypertufa recipe” that I figured why not give in, though it’s nowhere near as definitive as my recipe for saag paneer and is, after all, printed in the book, too. Anyway, it’s a recipe. You can change it if you want. My grandmother confused salt for sugar once, when she made a pumpkin pie, and I still remember the results of changing a recipe. She even thought it was funny, which was a rare thing. I start out with a plywood mold. Cindy made this for me because she liked making things, and I’m fairly incompetent in this department. It’s lined with plastic sheeting, stapled on. I use new plastic every time, and coat it with linseed oil as a release agent. Some people say you don’t need a release agent; I say you do. 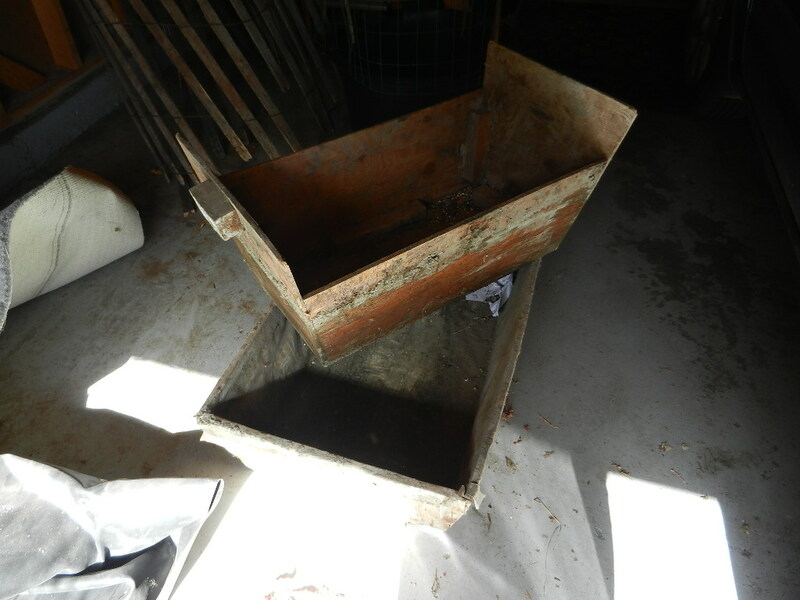 This is in pretty gross condition right now (I haven’t made a trough in years) and I didn’t want to drag it out into better light because there might be spiders lurking in it. Or near it. Then I start the unbelievably fun business of screening peat moss. I use a horticultural screen for this, and set it over a paint bucket. Several hours later I have enough peat moss to use; the rest gets swept up and put in the soil-less mix container. (Yes, I know this is a non-renewable resource.) There are brands of peat moss that aren’t filled with sticks and twigs and the remains of wooly mammoths, but I usually get the other kind. in a wheelbarrow, which is usually too small for the amount of hypertufa I put in it. I add water. 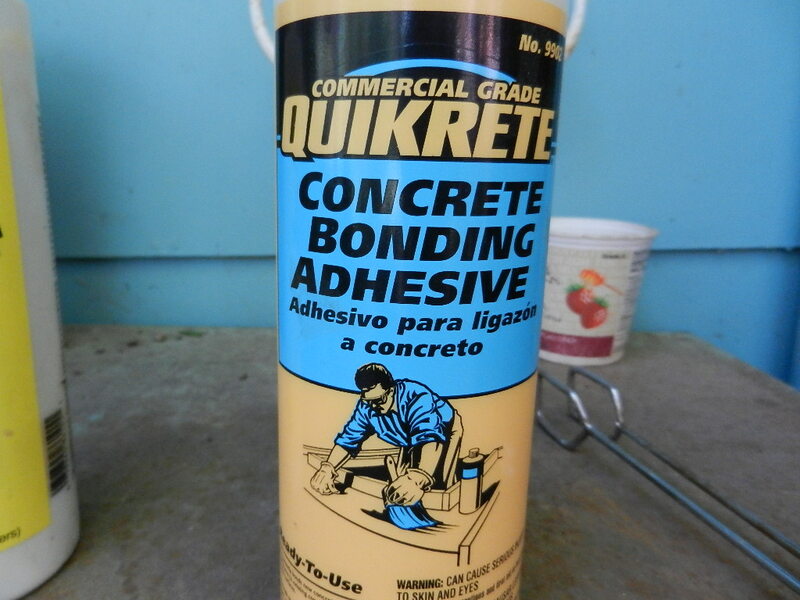 Some people, living in much wetter climates than mine, say the mix should be on the dry side, like cottage cheese; I say it should have the consistency of wet concrete. Everyone has seen concrete come out of a mixer; that’s what it should look like. 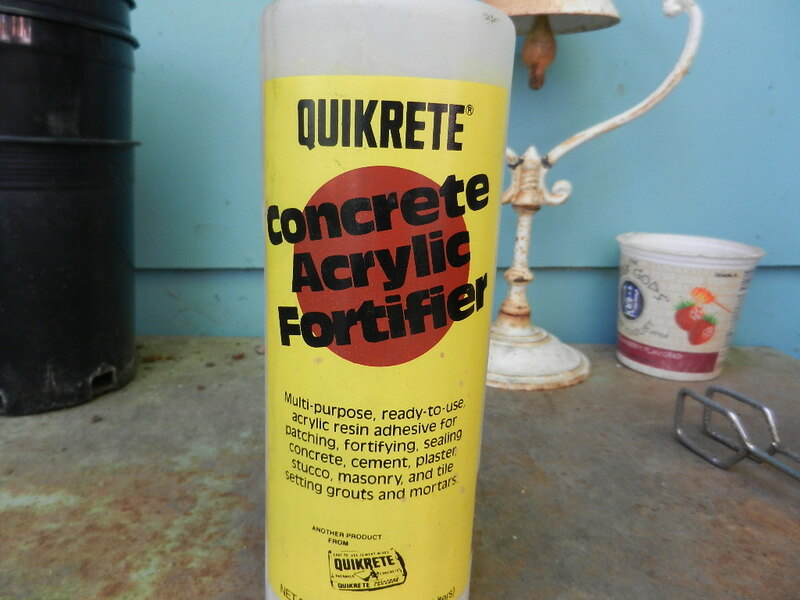 When the hypertufa has been mixed, a cup of concrete fortifier can be added. This is optional. It makes the material slightly more dense and less pervious to water. The bottom of the mold is packed with the hypertufa, and the inner mold is set on top. Hypertufa is shoved into the space between the inner and outer molds, prodded with a stick to get any air pockets, the whole thing is shaken and jiggled, a piece of plastic is draped over it, and everything is left alone for a couple of days. The inner mold is ultra-gently lifted from the hypertufa. The mold is covered with plastic again and the hypertufa is left alone for a couple of weeks. When the hypertufa has cured….it should be hard…..the mold is set on its end and the hypertufa slides out of the mold, thanks to the release agent you added when you ignored people who say you don’t need it. If a trough is broken after it’s cured, it can be glued back together. Usually. This entry was posted in Uncategorized and tagged hypertufa, troughs. Bookmark the permalink. 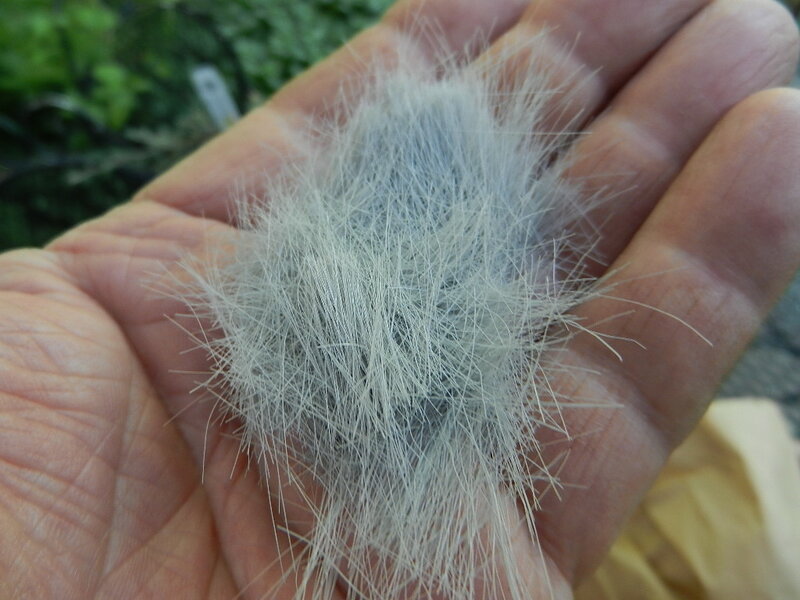 Does your Delphinium alpestre set seed? If it does, do you give seed to interested and devoted blog readers? I believe the answer is no. To the first part. Maybe. I don’t know. Bill Adams of Sunscapes sells it from time to time. Not this year though. I can look, but after it flowers, I guess. Can’t blame a gal with the green eye of envy for asking. If Sunscapes carries it occasionally, I’ll watch for it. I could be more vigilant, I suppose. Instead of just wandering around the garden in a daze. There are more plants in the trough than I planted, so maybe some seeding is going on there. One died; I think the trough mix has peat moss in it and that tends to break down into something really gross with repeated watering, and causes root rot.